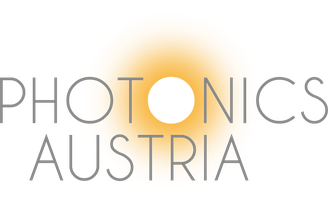 Startup Europe Ambassadors - photonics-austrias Webseite! Provide a network: Connect people such as startups, investors, accelerators, female entrepreneurs, corporate networks, universities and #EUTechWriters through our array of networks. The Startup Europe Map, a map which connects all startup players in the European ecosystems, is part of this. Help enter new markets: Help startups soft-land in other markets such as Silicon Valley (for example SEC2SV: Startup Europe Comes to Silicon Valley initiative), India (for example the Startup Europe India Summit), Africa (Startup Europe Comes to Africa initiative, coming soon) and The United Arab Emirates (coming soon). Supporting local initiatives: Connect local startup ecosystems by supporting regional initiatives such as Startup Europe Week or Startup Europe Regions Network. Celebrate sucess: Celebrate entrepreneurs’ success (Techallstars, Europioneeers and StartUp Europe Awards). On the home page, go to ‘ARE YOU A STARTUP?’ to connect to others across Europe, as well as find out about EU funding and legislation. You can find out about events across Europe in our Events Calendar, as well as read about opportunities in the News section. If you have a few minutes, read our interviews with successful startups and see pictures from previous events in the Blog. Accelerators, incubators, investors, female entrepreneurs, Universities, technology writers or any other ecosystem builders, go to ‘ARE YOU AN ECOSYSTEM BUILDER?’. And for EVERYBODY, don’t forget to register on the Startup Europe Map to gain visibility all over Europe! Throughout the years, Startup Europe (SE) has been a collective effort of hundreds of stakeholders, movers and doers in tech and startup field. The impact of this initiative could not have been possible without the immense support provided by this community. The community that is currently taking part in the growth of Startup Europe as a bottom-up movement have been invited to be Startup Europe Ambassadors. Startup Europe Ambassadors will represent a group of key influencers in the European startup ecosystems who are actively supporting our activities or who will be joining our adventure in the future. With this movement we will democratise the access to Startup Europe, by making it open to our partners with the goal of offering them the power of improving the initiative. Firstly, the ambassadors will be those organisations who have been selected through the evaluation of proposals of European Commission’s Horizon 2020 ICT 32 call, as well as partners of Pilot project: Start This Up! and OpenMaker.